Have you been denied by Social Security or would you like help applying for Social Security Disability benefits? We can assist you in your claim for disability benefits at any stage of the process from the application up through the hearing and the Appeals Council process if necessary. My dedicated staff and I have over 15 years of combined experience helping disabled individuals get medical and financial assistance. The Social Security Administration’s rules are complex and constantly changing, so it is important to have an experienced attorney assist you each step of the way. Please contact us for a free consultation regarding your case or if you have any questions. What are the age restrictions with SS? Social Security Disability Insurance (SSD): makes monthly disability payments to those who are unable to work due to a disability. The program is open to individuals who meet certain qualifying requirements and who have worked enough quarters to qualify for benefits. Supplemental Security Income (SSI): provides monthly disability benefits to disabled individuals who have not worked long enough to qualify for SSDI and who meet Social Security’s financial eligibility requirements. I just want to thank the Attorney and his Firm for the support and guidance they gave me throughout the case. I truly appreciate their knowledge and ability that carried me through to the end. I am so grateful. I received such patient and caring help from your office. I was given so much more information and communication to help in my case and understanding of the process that my prior lawyer never gave. I truly wish I had found your office sooner and perhaps I wouldn’t have had to file 3 times and wait six years. Thank You! Everyone was diligent in following up on my case. Anestesia was kind and informative on all occasions. Attorney Earl gave timely advice and guided me with calm and responsible counsel. Thank You! 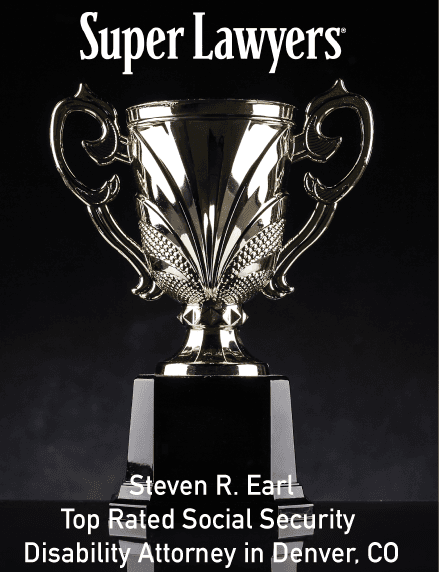 Mr. Steven Earl was very professional, well organized, and was well prepare for my case. He helped me prepare for my hearing and did a great job representing me and got me approved for my social security disability. Before Apex Disability I was denied my benefits on 3 occasions. You can be found to be disabled by Social Security Administration at any age, although specific rules and regulations apply to claimants over 50 years of age and over 55 years age — usually making it easier to obtain benefits. You can receive benefits until you reach full retirement age or until your condition improves to the point where you are able to return to work on a full-time basis and for a period of more than nine months. Can I return to work and still receive benefits? Depending on your circumstances, you may be able to return to work without jeopardizing your disability payments. Also, even if you return to work for a short period of time after your disability, you still may be entitled to make a claim for the full period of disability. Can I have other sources of income and still receive Social Security payments? Yes. Provided you are not earning money from work-related activities, there is no limit to the amount of other income you can receive in addition to your Social Security payments. This includes income from rents, trust payments and other financial investments. Individuals applying for SSI benefits are subject to other certain requirements. If my application for benefits was denied, can I appeal the decision? Almost certainly, yes. If you do, it is advisable to hire a Social Security lawyer. In our experience, many rejected claims are later approved on appeal or after a hearing before an Administrative Law Judge. How much will I receive in SSD or SSI benefits? The amount of Social Security benefits you can expect to receive depends on your earnings history. It could be anywhere from a few hundred to several thousand dollars per month. How long does the Social Security claim process take? A successful application could take anywhere from 6 to 18 months to process, depending on your case. Applications which require a hearing before an Administrative Law Judge take longer to process. What will it cost me to hire Apex Disability Law to handle my Social Security claim? It will cost you nothing, unless we are successful in obtaining your benefits. We work on an agreed percentage basis, capped at 25% by Federal law. Can I claim Social Security benefits for my children and dependents? Disabled workers are entitled to receive auxiliary benefits for minor children at a rate of approximately 40% of the disabled workers monthly payment. What can I do to improve my chances of winning SSI or SSD benefits? Getting regular treatment from a doctor who supports your application is vital. If you cannot afford to continue to see your regular health care provider, Apex can provide information regarding options for obtaining medical treatment. 5280.com sent out ballots to thousands of metro-Denver attorneys and asked for their recommendations in various categories of law. 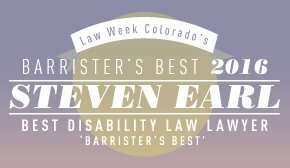 This is 5280.com’s first-ever list of more than 300 of the very best attorneys, in 46 specialties, in the Denver metro area. 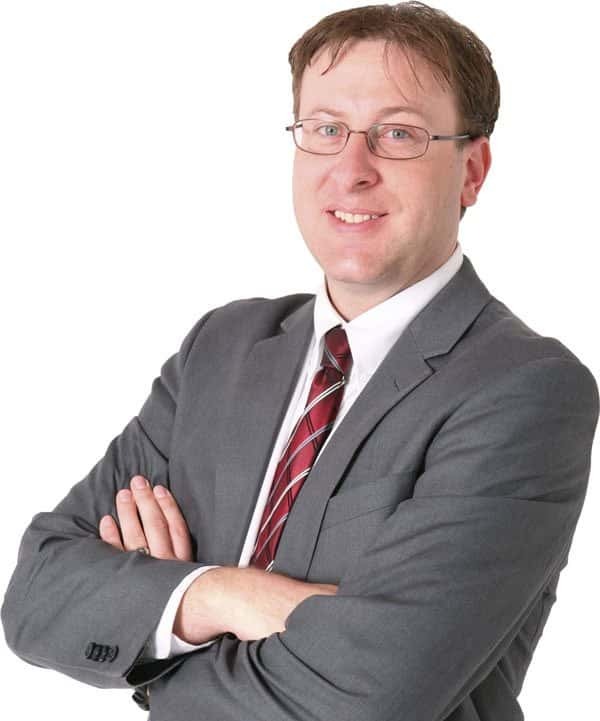 Since 2009, Steven Earl’s practice has focused exclusively on Social Security Disability Law. He has represented thousands of disabled individuals in their claims for Social Security benefits. This representation has required hundreds of hearings before administrative law judges, as well as appeals to the Social Security Appeals Council and in the United States District Court. He is a member of the National Organization of Social Security Claimant’s Representatives, the Colorado Bar Association, and the Colorado Trial Lawyers Association. © 2016 Apex Disability Law LLC. All Rights Reserved. DISCLAIMER: This web site is designed to provide educational information only and is not intended to offer legal or tax advice. The information on this site is intended to be accurate and current, but is not guaranteed to be. Do not make any legal decisions without first consulting with an attorney. No attorney client relationship is formed by any use of the information provided on this website, or by sending information to Apex Disability Law LLC. Past results are no guarantee of future performance. FULL DISCLAIMER.